It turns out that no one opted for the optional bike ride today. In fact, when asked, Philipp told me that no one ever opts for the bike ride on the "rest day" in Cordoba. There is just so much to see and do in this city of so many contrasts. We met in the lobby of the hotel at 9 am with our guide for the morning, Isabel. She was fantastic -- a knowledgeable and personable expert in her city, with a passion for sharing. Our hotel is in the Juderia district, the old Jewish Quarter of Cordoba. 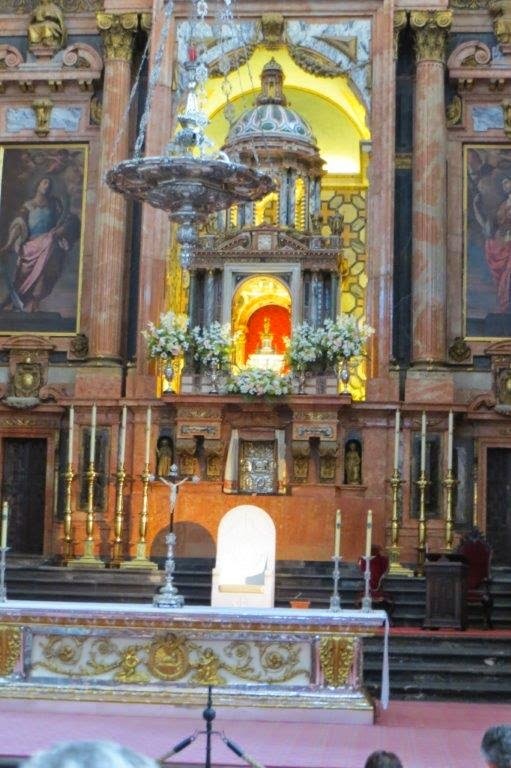 We started with a brief visit to the ancient Sinagoga, and proceeded through the narrow twisting streets of the quarter toward the Mezquita. 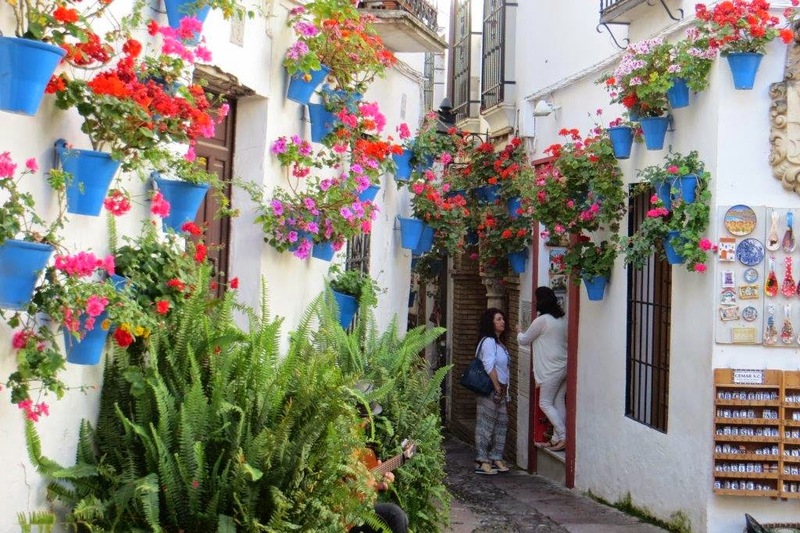 Along the way, we stopped at Calles de Las Flores, a street with even more flowers than most of the streets we pass through. The Mezquita (the Spanish word for mosque) is also referred to as the Cathedral (which occupies the central portion). One's perspective influences which name you choose to give it. The site was originally a Visigoth church, and later (sixth century), the San Vicente Basilica. 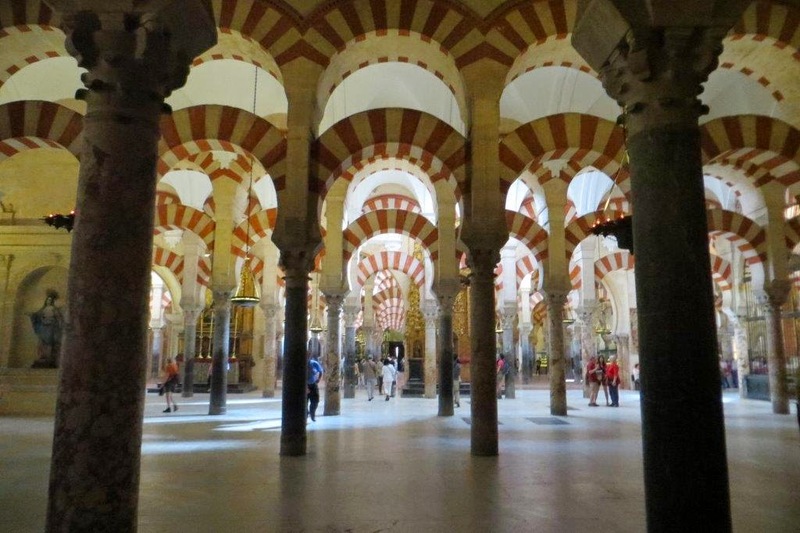 Following the Islamic invasion of Cordoba, construction of the mosque began in the year 785. The mosque was (and still is) so huge, that at could accommodate 18,000 people at one time. 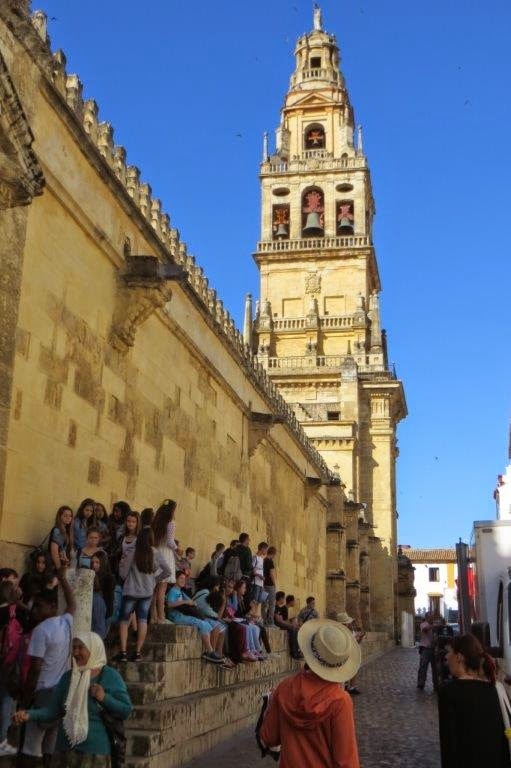 Following the Christian reconquest of Cordoba, the present Cathedral was built in the very center of the Mosque. After this visit was concluded, we were on our own for the rest of the day. 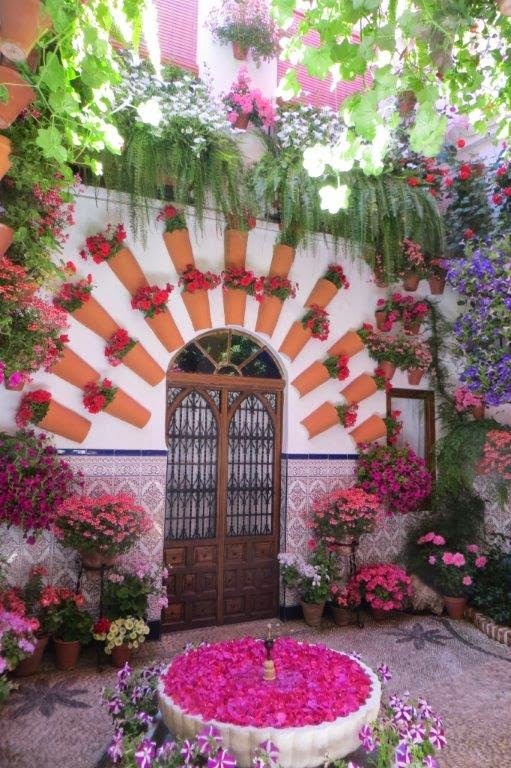 Since this is the festival of the patios, I visited several of the homes with patios open to visitors. They are generally small, perhaps 30 or 40 feet on a side, but filled with immense quantities of beautifully arranged flowering plants. There are six different routes to follow to visit all of the open patios. 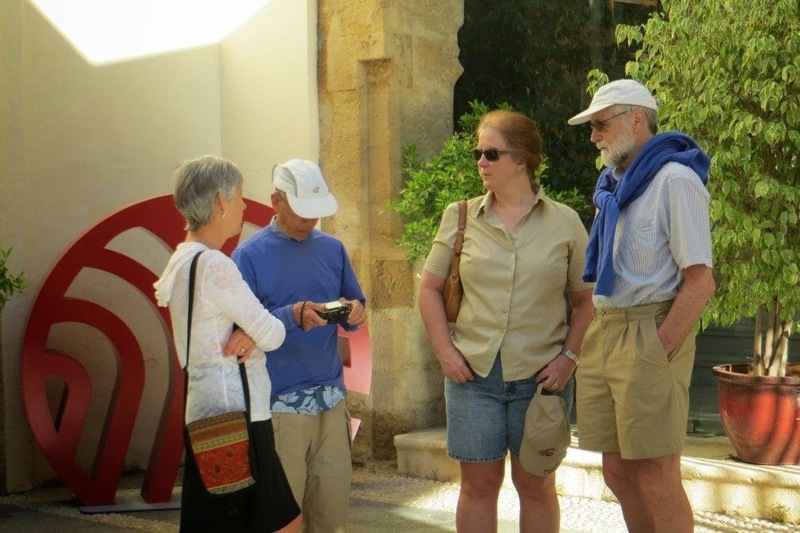 I visited several on three of the different itineraries, wandering through the city. After the patios closed for the afternoon siesta, I had a light lunch of chilled tomato gazpacho and a Flamenqin (ham and pork tightly rolled, breaded, and deep fried). 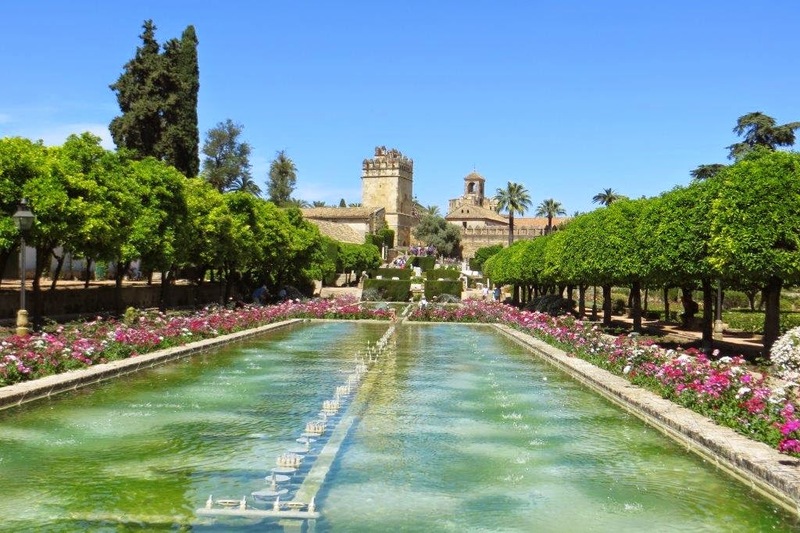 Delicious, and not quite as light as I anticipated, so I took a 45 minute siesta myself and then visited the beautiful gardens of the Alcazar (another of Spain's royal palaces). After a brief meeting to discuss tomorrow's ride, I resume the patio crawl. 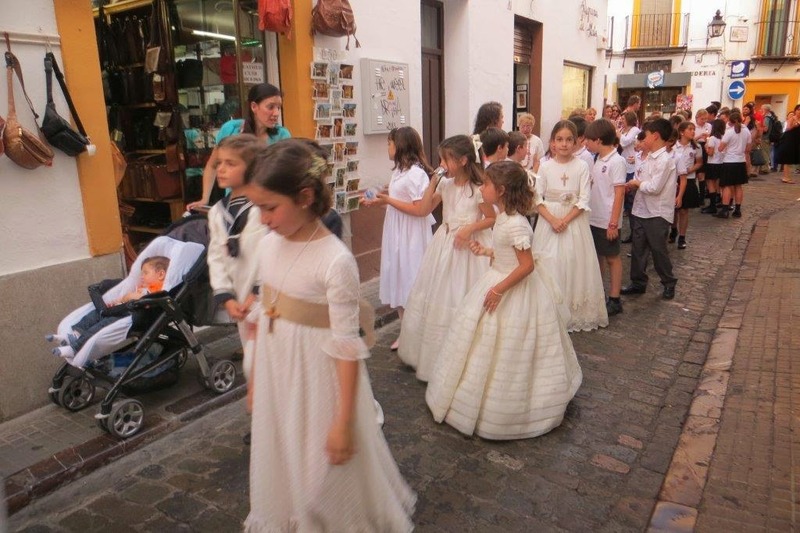 I happened to come across a religious procession, which appeared to be a celebration of the first communion of several students. 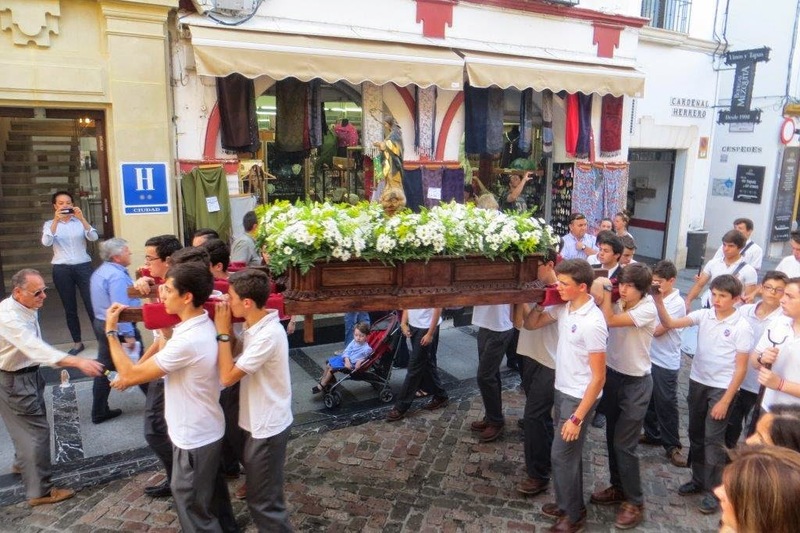 The procession was quite large, with the whole school participating. o open. I was the first patron, but with ten minutes, there were several others who also wished to dine "early." This restaurant is known for its generous servings of meat and fish, but I opted for a selection of three different tapas. The first was deep fried green chiles (similar to serrano peppers); the second was ham croquettes, and the third was a small portion of Hungarian goulash which was nicely seasoned. I finished with a typical Cordoban pastry and an espresso.